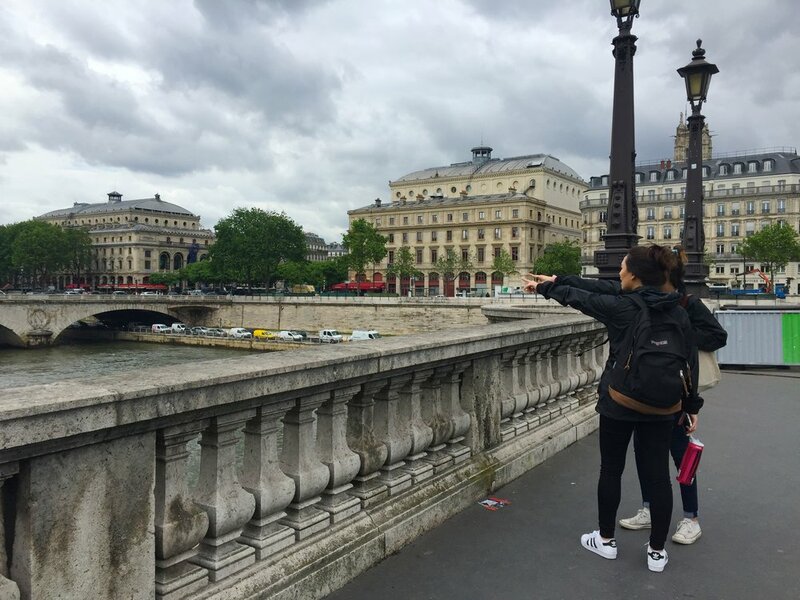 Six days after I arrived in Paris, I posted a photo on Instagram of two classmates I had just met that day, standing by the Seine River. I captioned it, “in-Seine.” I giggled at my own wittiness and watched as my locked screen filled with likes. It was a quality Insta-post. It showed I was having the time of my life and that’s what Instagram’s for, right? I was studying abroad for the summer, and I was supposed to be partying it up with the French, making plans to visit other countries with my cool, new friends while also “finding myself” in the city. Except I wasn’t. I didn’t have cool, new friends, and my inability to say much more than Parlez-vous anglais? (Do you speak English?) made it daunting to leave my room. Paris had not been kind to me: so far, I had been conned by a charming cab driver with bright-green eyes and a heavy French accent who drove me from the airport to my apartment. He refused to unlock the car door unless I paid him double the amount of euros I was due. I had been groped by anonymous hands on packed metro rides, several times now. And it had started raining. I hadn’t packed for anything less than sunny skies. The photo I posted was a perfect depiction of everything I wanted people at home to think about me and my time in Paris thus far, but it held zero authenticity. In reality, I was an anxious mess, stuck in a destructive loop of missing home and then feeling bad about missing home. None of that mattered, though, as long as I looked like I was having an incredible time on Facebook and Snapchat. It was a way of deceiving everyone else while simultaneously reassuring myself that I hadn’t made a mistake by coming to a country I barely knew the language of. It was me succumbing to a pressure to flaunt a perfect life that didn’t even exist. Several days later, after a disappointing class trip to Giverny in which Claude Monet’s celebrated flower gardens were closed due to an unexpected flood, I found myself sitting on the bus next to Gabriela Alcalde. What began as casual small talk quickly, and unexpectedly, evolved into a series of confessions. Alcalde, a senior film student at New York University, was struggling with burdens similar to mine. We spent the rest of the hour on the bus discussing the lack of integration process by the program, the guilt of missing home and the pressure to be loving all of it, all the time. That day, I realized that my case wasn’t an isolated one and knowing that made all the difference. The not-so-glamourous aspects of traveling may not be as exciting to talk about as the blissful, but they’re just as important. It isn’t always as simple as picnicking at the Sacré-Cœur or eating croissants by the Notre Dame. Sometimes it’s feeling desperately homesick, lonely and just plain confused. In time, I became less concerned about what pictures I was posting and reverted my focus to more relevant concerns like where my friends and I wanted to grab dinner after touring Palace du Versailles, La Coincidence or Chez Janou. By leaning on one another for support, the students in the program, including myself, were collectively able to take on the city of lights with extreme confidence and anticipation. By the end of the summer, I had fallen madly in love with Paris. I’d fallen in love with the bread, the language, the lifelong friends I’d made—and the bread once more. I found myself teary-eyed at the idea of bidding au revoir to the city that had become home and to the people who had become family. However, also by the end of that summer, I learned that traveling is hard, adjusting is harder, and it’s okay to admit that. Photo taken by Annette Choi.